QENP is in the Western Region of Uganda, spanning the districts of Kasese, Kamwenge, Rubirizi, and Rukungiri. The park is approximately 400 kilometres (250 mi) by road south-west of Kampala, Uganda’s capital and largest city. The town of Kasese is just outside the northeastern edge of the park, while the town of Rubirizi is just outside the park’s southeastern boundaries. 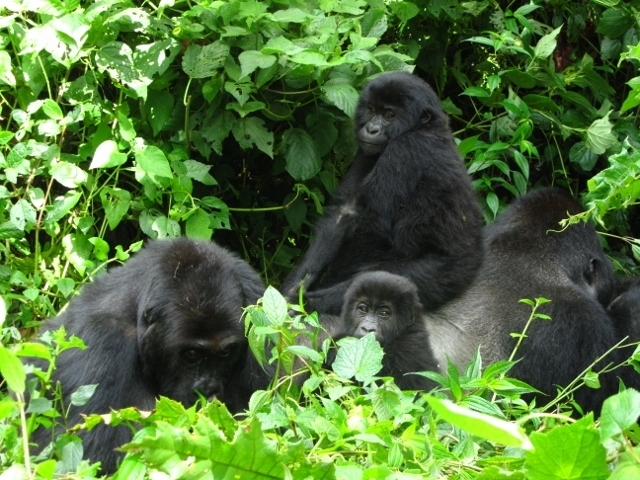 The park includes the Maramagambo Forest and borders the Kigezi Game Reserve, the Kyambura Game Reserve, and the Kibale National Park in Uganda, and the Virunga National Park in the Democratic Republic of the Congo. Queen Elizabeth National Park occupies an estimated 1,978 square kilometers (764 sq mi). The park extends from Lake George in the north-east to Lake Edward in the south-west and includes the Kazinga Channel connecting the two lakes. Queen Elizabeth National Park is known for its wildlife, including African buffalo, Ugandan kob, hippopotamus, Nile crocodile, African bush elephant, African leopard, lion, and chimpanzee. It is home to 95 mammal species and over 500 bird species. The area around Ishasha in Rukungiri District is famous for its tree-climbing lions, whose males sport black manes. Poachers killed six elephants in the park in 2015, triggering both anger and frustration within the Ugandan conservation community. Services in the park include a telecenter run by Conservation through Public Health and the Uganda Wildlife Authority, neighboring the Queen’s Pavilion, park lodges, game and scenic drives, and boat launches. QENP and the Queen Elizabeth Country Park in England are twinned in a project of “cultural exchange, mutual support and has its main emphasis on supporting Conservation through working closely with and empowering local communities”.